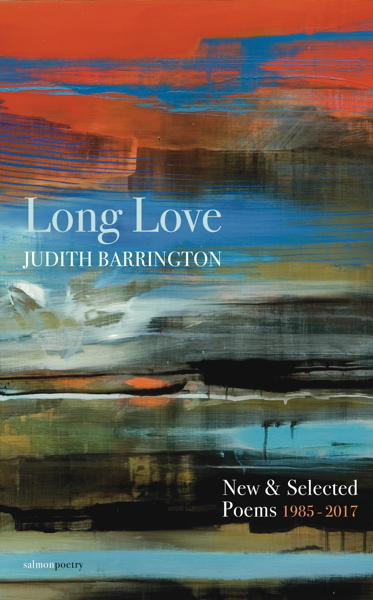 These poems, whether in traditional or looser forms, reveal Judith Barrington’s unerring ear for the music of language. Her subjects—being a lesbian, horses, the ocean, memory, love, grief, aging, disability, and facing one’s own mortality—are explored with fierce attention, originality, and wry humor. Mark Doty said of Horses and the Human Soul: “Socially and politically alert, lamenting and celebrating, Barrington’s passionate poems inscribe the broad range of her affections.” Writing of History and Geography, The Nation said: “Barrington’s history, like Lowell’s, is intensely personal; her geography, like Bishop’s, extracts the familiar from the exotic and the exotic from the familiar.” This applies equally to the poet’s other three volumes: Trying to be an Honest Woman, Horses and the Human Soul and The Conversation, and two chapbooks: Postcards From the Bottom of the Sea and Lost Lands, all of which are represented in Long Love, along with a section of new poems. 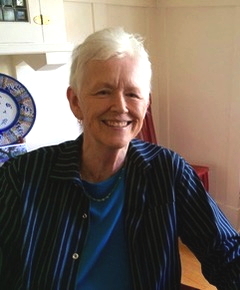 Judith Barrington has published four poetry collections and two chapbooks. Among her awards are: The Gregory O’Donoghue International Poetry Prize, The Robin Becker Chapbook Prize, The Andres Berger Award, The Dulwich Festival International Poetry Competition, an American Civil Liberties Union Freedom of Expression Award, and The Stuart H. Holbrook Award for outstanding contributions to Oregon’s literary life (with Ruth Gundle). Her Lifesaving: A Memoir was the winner of the Lambda Book Award and runner up for the PEN/Martha Albrand Award for the Memoir. She co-founded The Flight of the Mind Writing Workshops, which for seventeen years brought together outstanding teachers and women writers from all over the U.S. at a residential summer event in Oregon. She is also one of the founders of Soapstone Inc., a nonprofit organization working to support women writers. Judith was, for several years, on the faculty of the low residency MFA program in Creative Writing at the University of Alaska, Anchorage. Much sought after as a writing teacher, she has taught at various universities and at numerous writing workshops across the USA. She has led classes for The Poetry School in London and at the Almassera in Spain. Born in Brighton, England, she has lived in Portland, Oregon for forty years.